Humanity is a theatrical dance production that addresses multiple social issues including suicide, sexism, racism, domestic violence and addiction. 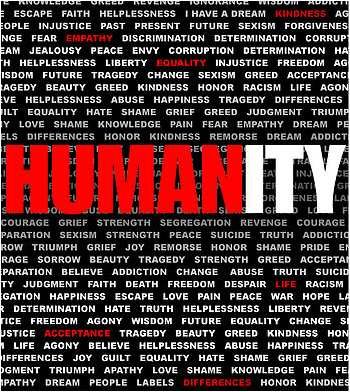 Humanity influences the human spirit and challenges audience members to think about the complexity of social struggles. Audience members have been inspired and moved by this work and commented on its power to start important conversations about uncomfortable topics. Kimberly Lavon is a fine art printmaker, graphic designer & gallery owner. Her body of work is a visual manifesto, making real the otherwise intangible in human experience – joy, loss, possibility & more.